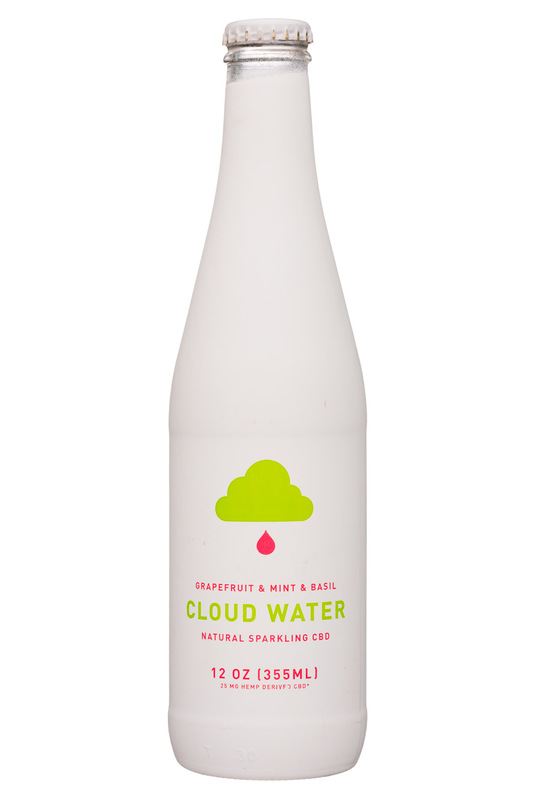 Cloud Water is a line of sparkling water beverages enhanced with 25 mg of CBD. The product line currently consists of two flavors, Grapefruit & Mint & Basil and Blood Orange & Coconut, both of which are lightly sweetened with raw honey. 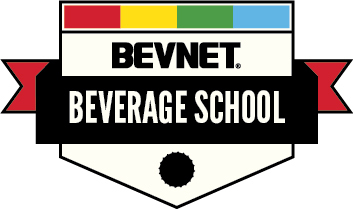 As we do with any brand that’s jumping into the CBD beverage game, we’re always asking ourselves whether or not the product has merit beyond the ingredient itself. After all, there will eventually be a point when adding CBD isn’t an advantage or an excuse for poor flavor. Fortunately, Cloud Water passes this test with flying colors. Both products are well crafted and enjoyable, with a flavor profile that sits somewhere between a sparkling water and soda. With 40 calories and 10 g of sugar per bottle, the mellow sweetness and flavor note of honey provide a very nice backdrop to each flavor. Both varieties start with raw honey and then feature a touch of lemon juice (percentage not disclosed) and natural flavors. We particularly enjoyed the summery flavor of Grapefruit & Mint & Basil, which has some impressively accurate flavor. Blood Orange & Coconut is quite good as well, although it’s more clearly from flavoring as coconut is tough to nail. What we ultimately really like about these products is that they provide sweetness without adding zero calorie sweeteners or going beyond the modest level of calories and sugar. 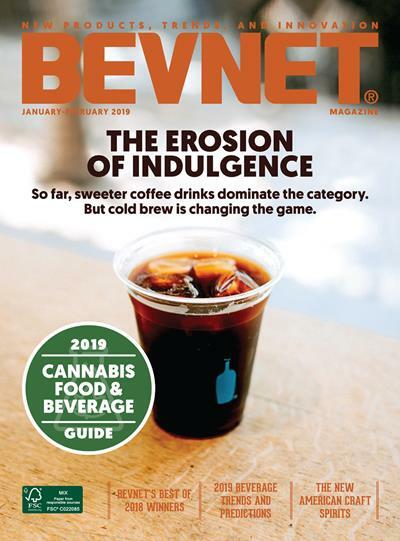 This creates a really clean and simple formulation that is a nice fit for a CBD drink since this is a category that is very much skewing towards natural products. 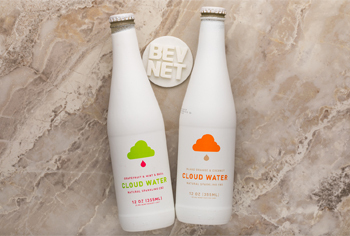 On the outside, Cloud Water has taken a pretty unique twist on a classic 12 oz. glass soda bottle. The brand has painted the bottle glossy white to the point where it’s clearly opaque and you cannot see the liquid inside. The branding is clean and simple, using an image of a cloud with a single oversized raindrop as its logo. Finally, there’s some text, which is simple, intuitive, and easy on the eyes. 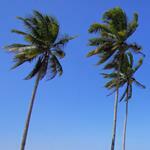 We’re fans of what Cloud Water has created. 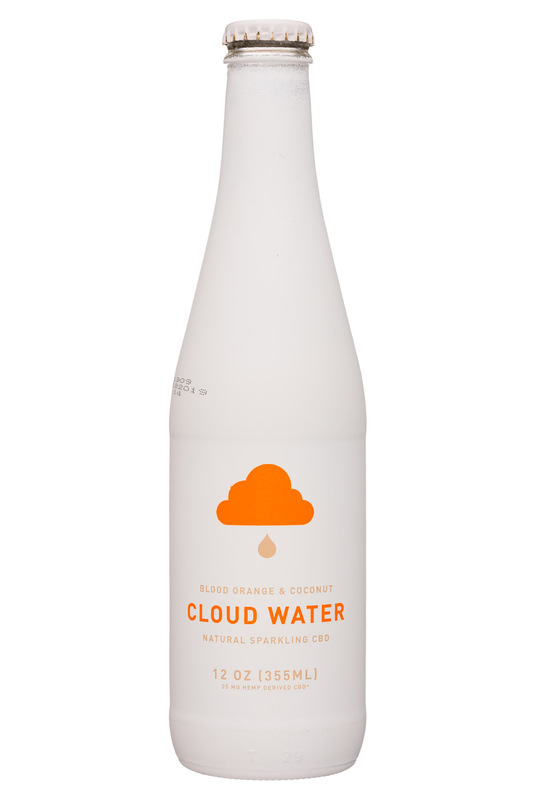 In conclusion, Cloud Water is a very worthy and well-executed product that’s launching in a category where a lot of CBD action appears to be happening (sparkling). While we’d love to see another SKU or two, what the brand is introducing first feels like worthy competition for other brands in this nascent space.